10 Reasons To Choose Pallet West As Your Pallet Collection Service. Disposing of pallets shouldn’t be a difficult task, and with the right company, it doesn’t have to be. Here are 10 reasons why you should choose /10-reasons-to-choose-pallet-west-as-your-pallet-collection-service/. All of the Pallet west collections team are trained in the safest ways to handle pallets, ensuring that you and your staff are not put at risk handling heavy and cumbersome pallets. We also can identify the safest way to load and unload pallets, ensuring that not only your staff are safe but your premises as well. 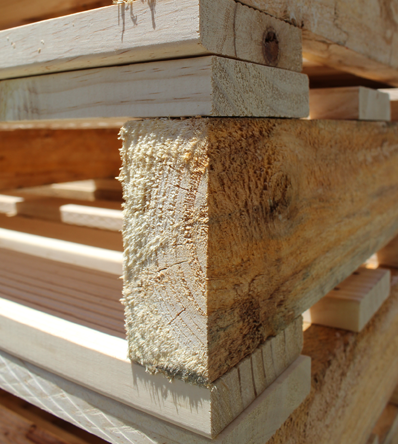 Our Pallet west collections team know how to deal with your pallet build up in the most efficient of ways. We save time for you and your staff, so you don’t have to deal with the buildup of pallets in your yard. Cleaning up your yard is one of the fastest and most effective ways to regain that lost space, removing stacks of pallets to give you back that much needed floor space. Palletwest specialises in helping you regain control of your yard or factory through our pallet collection service. Palletwest is a family owned and operated business and we pride ourselves on maintaining the highest level of professionalism as well as offering great customer service. We understand the importance of maintaining a schedule, so we ensure that you can rely on us to be on time, every time. We collaborate with you and your staff to find a time that suits your schedule in order to have the least impact on your working environment as possible. At Palletwest, we are the industry leaders in pallet management programs as we deal with varying levels of pallet management. Whether it be large or small, we know how to manage all of your needs regarding pallets. Using tried and tested methods, we help to not only sort out your out of control pallets, but structure a tailor-made management system to ensure the smooth storage and organisation of your pallets. One of the many benefits of using Palletwest as your pallet management specialist is that we do it all. We liaise with your staff, plan the best strategy for removal, remove the pallets and structure your own management program. Palletwest is always here to help. Our Palletwest collection team are fully qualified in the use and operation of forklifts/lifting devices and can use your machinery to sort and load your pallets. There’s no need to take the time out of your work day to deal with the headache of pallets, Palletwest can deal with that for you. At Palletwest we are constantly striving for a no waste goal. We repurpose as many of your pallets as possible due to the simple fact that we value recycling and reducing waste. Rest easy knowing your pallet removal specialist is utilising your pallets in the most effective way. We have made getting a quote for pallet removal as simple as possible. Just snap a few pictures and email them to us to receive a quotation for the removal of your pallets. No need to book a site inspection or waste any time, we can provide you with a reliable quotation for the removal of all your pallets. We are PalletWest, your leading pallet collection service in Perth. We specialise in the manufacturing and supply of quality new and second-hand pallets. We also understand the need to remove the clutter caused by your lingering pallets. Whether they’re timber, plastic or oversized, our friendly and professional pallet collection service can help! We’ll easily and effortlessly dispose or recycle pallets that you no longer have the need to use. Getting a quote from us is easy and affordable. Contact us today and let us take care of your unused pallets!